One problem that many businesses find themselves coming across again and again is a lack of storage space. Warehouses, offices and commercial businesses across the country are always looking for ways to store things more efficiently in order to cut costs in other areas, improve productivity and ultimately increase profits. For a hassle free approach to increasing your storage capabilities why not leave it to Ace Interiors? We can help by installing a range of racking and shelving options in no time at all. Broadly speaking, Ace Interiors offers three types of shelving and racking. It should be fairly obvious which one is suitable for your business, but we’re always happy to help if you have any questions or concerns. Industrial shelving – this shelving is designed to withstand the pressures of an industrial environment by using materials to suit the purpose and blend in with the surroundings. Office shelving – we’ll design a practical shelving system that is also able to enhance the décor of any office. 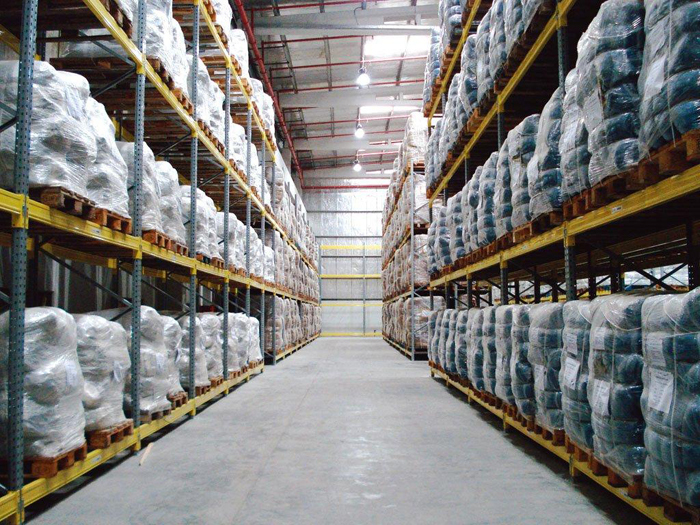 Pallet racking – whether you’re adding to your existing pallet racking system or need us to start from scratch, we offer pallet racking that will help your business to perform to the best of its ability. Safety – poorly planned or constructed racking and shelving can be dangerous, especially when it extends above head height. Our main priority is always to plan and build shelving and racking that is completely safe. Cost effectiveness –we understand that you’re running a business just like we are. That’s why we strive to get you as much storage space as possible at the lowest possible price. Minimal disruption – we’re here to do a job, not get in the way of yours. You can be confident you’ll receive professional, efficient service and we’ll be gone before you know it. Ace Interiors prides itself on being able to offer a turnkey solution for all of your refurbishment needs. As well as providing racking and shelving we also specialise in plumbing, electrics, lighting, and decorate and offer other interior improvements such as partitions and mezzanine floors. This comprehensive approach means that we’re always trying to develop working relationship so that hopefully clients will recognise our excellent service and return to us the next time they need anything else done. This is just one more reason you can trust Ace Interiors to provide the best possible price and leave you completely satisfied. We’ve been providing racking and shelving for businesses both small and large across Cambridgeshire for many years now. We’ve learnt to expect the unexpected, so whether you anticipate your job to be straightforward or you have some unusual requests we’re sure we can find a way to come up with a solution. So whether you’re looking for a complete fitout or just need a bit of extra storage space, get in touch today and we’ll help your business reach its full potential.